If you are struggling with opioid addiction, you are not alone. Opioid dependency has reached epidemic levels in the United States. Studies indicate that 10 percent of the U.S. population is dealing with opioid dependency. It is a disease that does not discriminate, affecting men and women of all ages, and economic and educational status. At Bahder Behavioral Services you will find compassionate, effective help in fighting the grip of opioid addiction. 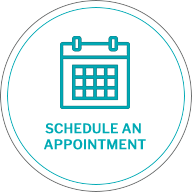 Each of our treatment plans is personalized to every individual patient’s needs. Treatment can include the use of medication, such as Suboxone, as well as individual and group therapy. We encourage you to take the first step in reclaiming a healthy, fulfilling life by contacting us. Bahder Behavioral Services also treats people suffering from alcohol dependency, benzodiazepine addiction, and mental conditions such as bipolar disorder, and anxiety and depression disorders, diseases which often occur alongside addiction issues.